Epic 1 mile course featuring 10 crazy fun obstacles! Ages 5 through 17 are welcome! Sign up for the wave of your choosing, starting at 9am. Most Young Lions take approximately 25 minutes to complete the race and may run as many laps as they want, parents are welcome to accompany them through the course if desired. There will be water available at the Start and Finish line. Race Day Info. Please arrive an hour before your registered wave to allow time to park and get checked in. Parking will be $10, and we’ll have vendors there so bring some cash. We offer a military discount to our active duty and veterans, the promo code is FREEDOM. Spectating is free - Bring On The Family!! All participants must have a waiver signed by a parent or guardian. Download waiver. Please check out the FAQs page. 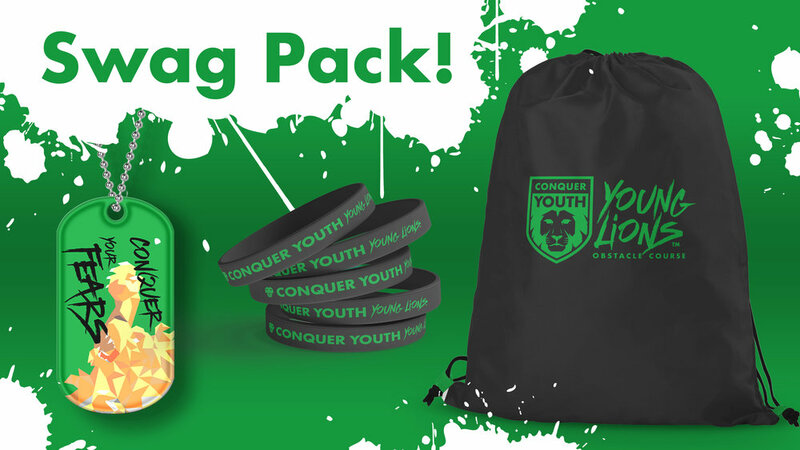 For Dallas specific questions email sarah@conqueryouth.com.